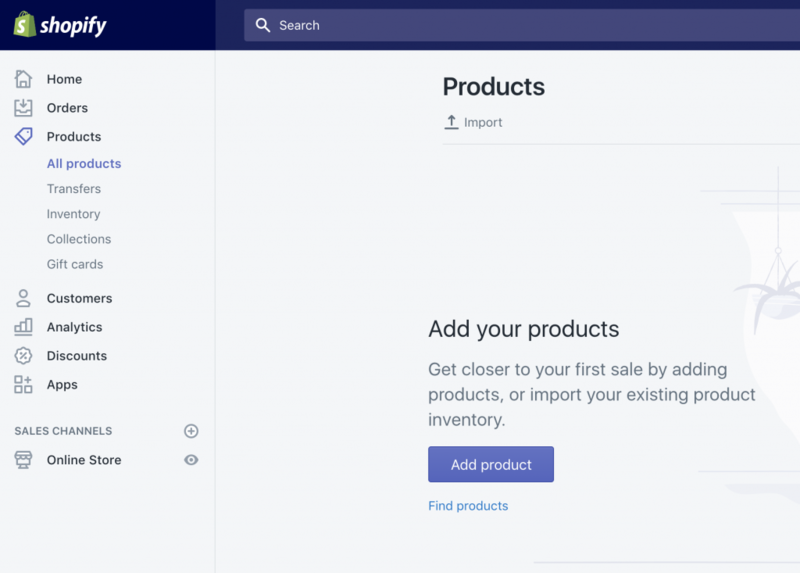 In the last post about Shopify, we discussed the basics of Shopify, and how can it help you reach out to your customers without any coding knowledge. This post will take you through the basics and help you get your first e-Store set up and running without having to write a single line of code. To have a solid footing in the e-Commerce domain, you’ll need to do a couple of things first. Make sure to come up with a unique and attractive name for your store. It will help your customers remember your store with ease. Secondly, establish a trend for your product listings. 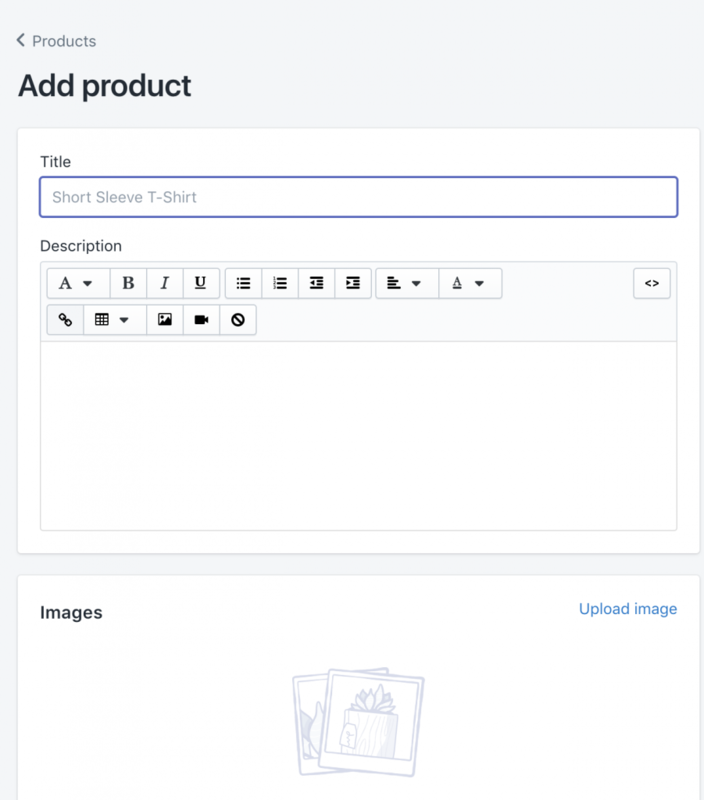 It will make it easier for your customers to browse through your products and help establish a theme for your store. How to add products in your Shopify store? Once done adding the information, hit the save button. How to customize the look and feel of your Shopify store? 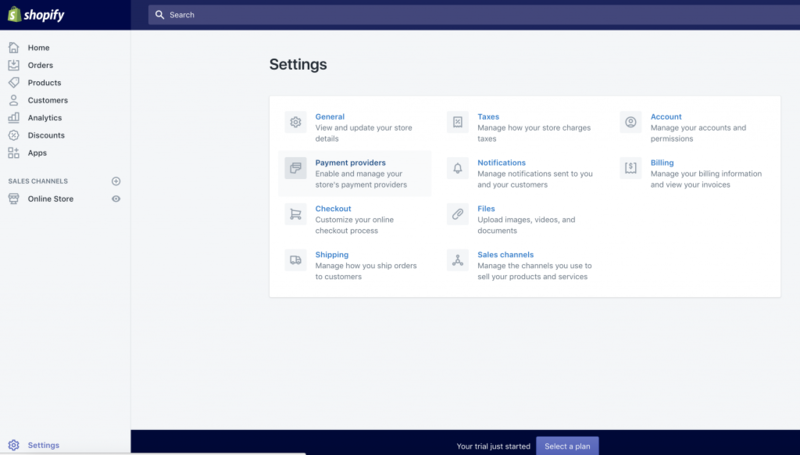 Once you are done adding products, navigate back to the main Home dashboard and click on the button ‘Customize theme‘ in order to customize your online store to match your brand. In this area, you can customize anything about your store. You can upload your own logo and change colors, for starters. It can take some time getting your desired look but it doesn’t require you to write any sort of code. 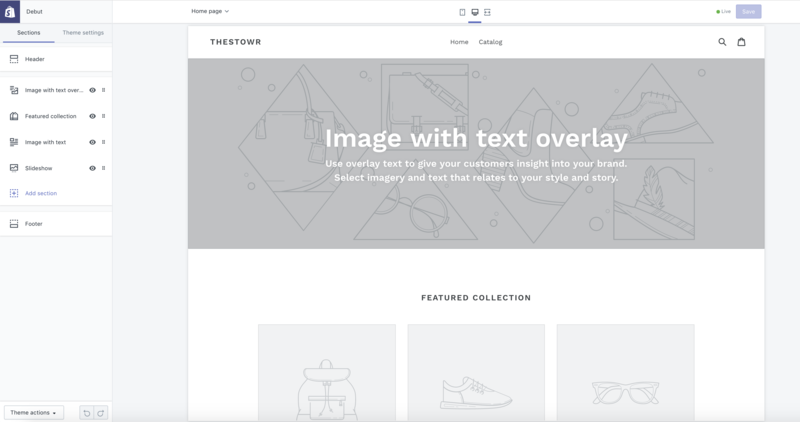 On top of everything, you can customize the look and feel of your homepage and product pages separately. You can customize the looks yourself, or you could navigate to the theme store to browse through a wide variety of free and premium themes for a range of pre-made looks. 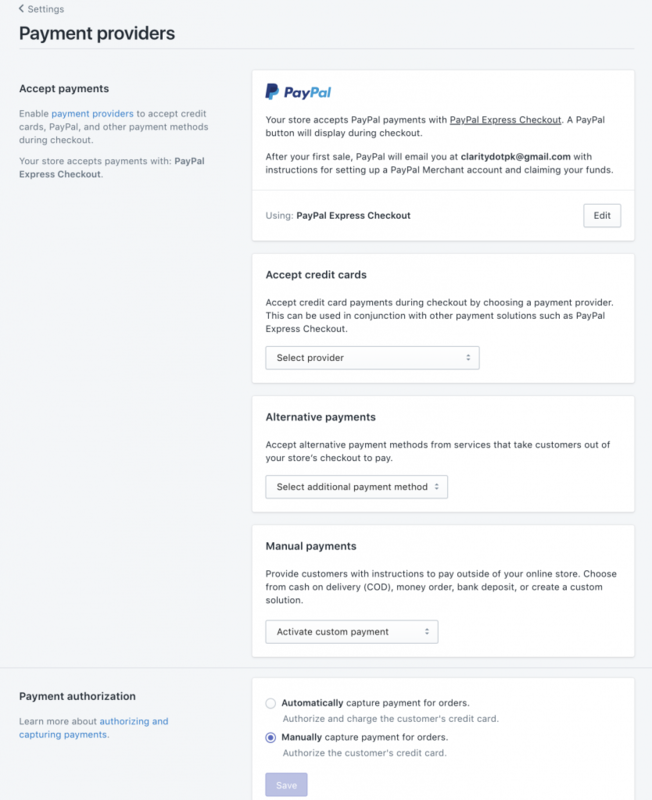 How to activate payments on Shopify? Once in here, you will find the link to “Payment providers”. Clicking on it will provide you with the options Shopify accepts. But, in Pakistan, you can use other options, for which you have to use custom payment method like COD. Some of the payment solution providers in Pakistan do have a plugin-based method to integrate shopify, like Easypay and JazzCash will also have a plugin soon. How to setup domain for your Shopify store? 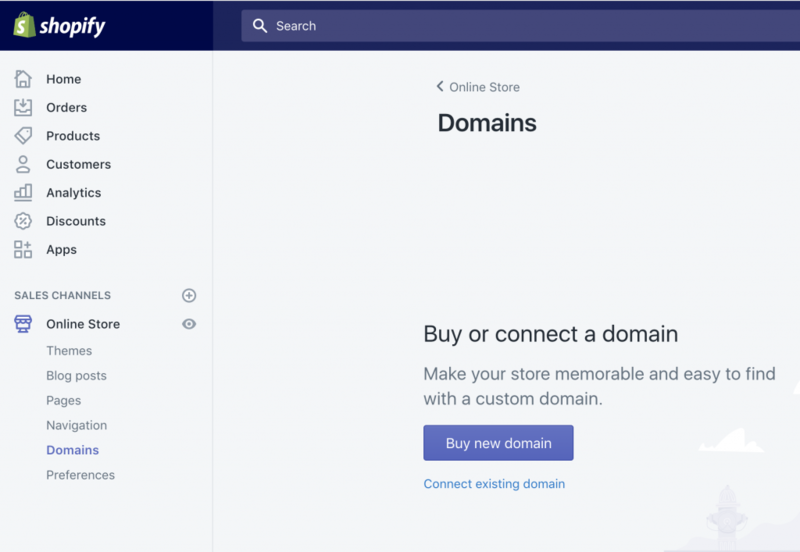 Buy new domain: You can either buy a domain name from within Shopify interface or buy on any other registrar. Have a look at what thinking process goes in selecting and registering a domain in Pakistan. Once purchased, you’ll need to have it linked to your store (if not purchased at Shopify). You can find detailed instructions for it here. If you don’t already have a custom domain, then you should purchase your domain through Shopify. Shopify offers transparent pricing with no hidden fees. 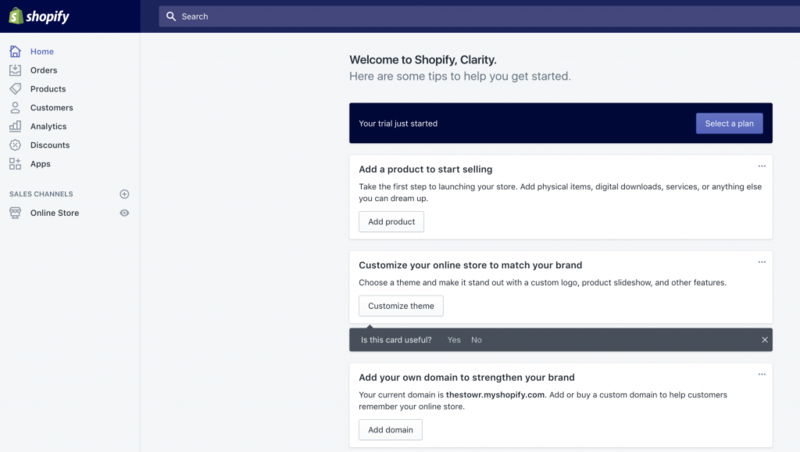 Your domain is automatically set up for you, and you keep ownership even if you leave Shopify. After you have done the above tasks with your satisfaction, you are ready to launch your store. Congratulations on your new webstore!